Are you an athlete struggling with digestive problems, menstrual cycle irregularity, recurring injuries, mental fatigue OR are you an athlete who wants to avoid these issues? 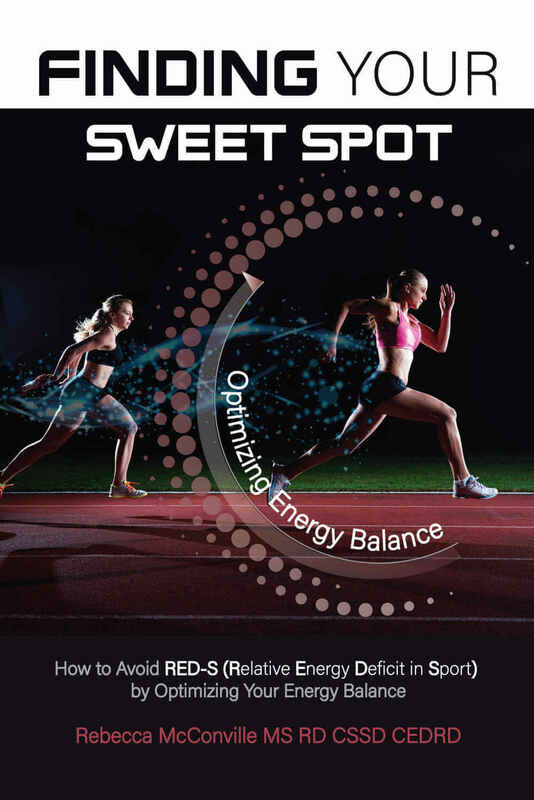 This book will help you find your “sweet spot”, that place where you’re providing your body with the energy it needs so you can perform your best in your sport—and also in life. Your body is resilient in keeping itself functioning, but this can come at a cost if you’re not adequately providing it with the fuel it needs. RED-S occurs when an imbalance in energy intake and energy output has detrimental effects on bone health, menstrual function (in women), metabolic rate, immune function, cardiovascular health, and psychological health. Identity why I think we’re seeing more of it. Outline how to identify symptoms you may have that are related to energy deficiency. Explain how specific organs in your body begin to malfunction with improper energy intake. Dismantle misguided information regarding what an optimal weight is and determine what to seek in body composition. Scientifically explain what’s needed from a training program. If you’re struggling with any of these issues, you’ll find suggestions for who to seek for help and what are the next steps you need to take. The life-long athlete in me wants to make sure that all athletes stay at the top of their game for as long as they choose to be in their sport. This book has a checklist to help you stay on track before your season starts, in the grind of the season, at the end of your season—and be ready to go for the next one.